6/26/2017 Lightning moved up the crest of the Coast Range this morning. 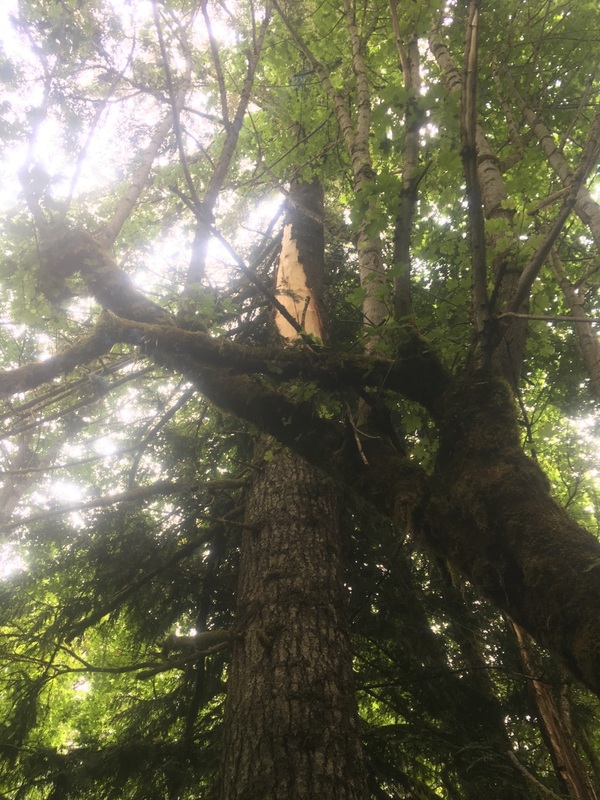 You can see the strikes on the first picture, and the location of the fire started along the Banks Vernonia State Trail. The picture below shows the tree that had fire in the top, and you can see where the bark was peeled back by the lightning. Along with Banks Fire, we extinguished the fire on the ground and felled the burning tree. Crews and landowners saw smoke in other places, but so far have been unable to locate the fires.